Mother’s Day is coming. I for one had no idea, considering I’m from a country that celebrates Mother’s Day in May. But you live, you learn, I guess. And it’s good to know that I can give presents to my mother on two occasions rather than one. 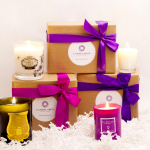 If your first thought was to buy her flowers and a card, well then you are sorely missing out on all the cool things you can get for your mother. And I’m willing to bet that she will be equally, if not more pleased with one of these amazing presents. If you want to send your mother a note declaring your love, why not do it in a way she might not expect? 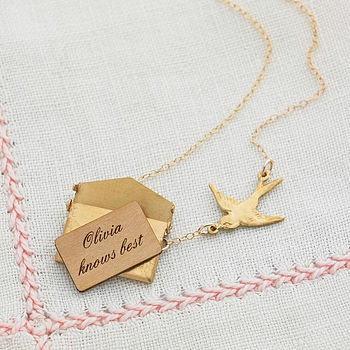 Not On The High Street sells these amazing personalized mini love letter necklaces [right]. You choose the message, she can wear it close to her heart. Sweets. I know, right? They’re the way to anyone’s heart. 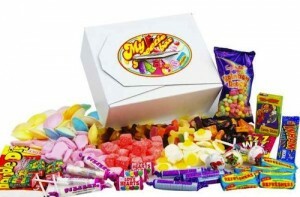 Why not let your mother indulge in her sweet tooth with IWOOT’s brilliant retro candy box? 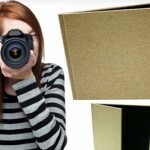 And speaking of IWOOT, there are some excellent experience days on offer. Treat your mum to a helicopter flight over London or even a day riding horses. As one of the hottest (the name says it all) shows around makes its return to the West End, there has never been a better time to treat your mum to a night of dance. 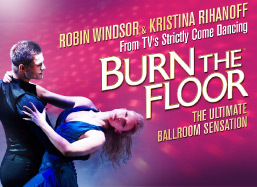 Burn The Floor is back on stage…. 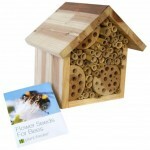 Check out our craft section for lots of nifty ideas for handmade goodies.